This is a good excursion to combine mountain and beach on the same day. Barcelona, Montserrat Natural Park, Sanctuary (Monastery, Basilica, Our Lady’s Chapel, Boys’ Choir (depending on the time and day), Free Time, Sitges, Seafront Promenade, Old Quarter, Quiet Corner, Visit to Cau Ferrat, St Sebastià Beach, Free Time, Barcelona. Transport: Mercedes Sedan or Minivan depending on numbers. Price includes: Licensed guide and transport. Lunch is not included. If you would like us to arrange a traditional Catalan meal, please let us know. As a general rule, the Boys’ Choir sings from Monday to Friday at 1:00 and on Sundays at 12:00. They do not sing on Saturday. They are on holiday in July. Apart from Cau Ferrat in Sitges, there are 2 more museums: the Mar i Cel (Sea and Sky) Museum which has a collection of religious art donated by Dr Pèrez Rosales, and the Romantic Museum, a late 18th century mansion with an interesting period collection. Please tell us if you would like to visit them instead of Cau Ferrat. Guided tour to Montserrat mountain (monastery, park, black Madonna) and the town of Sitges in the south coast near Barcelona. 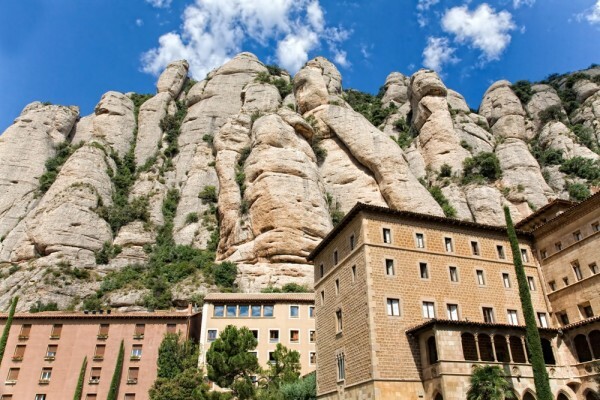 Montserrat is culture: a library of nearly 300,000 volumes; the oldest boys’ choir in Europe; a museum with paintings by Greco, Picasso and Dalí among many others and treasures from ancient Egypt including a mummy. 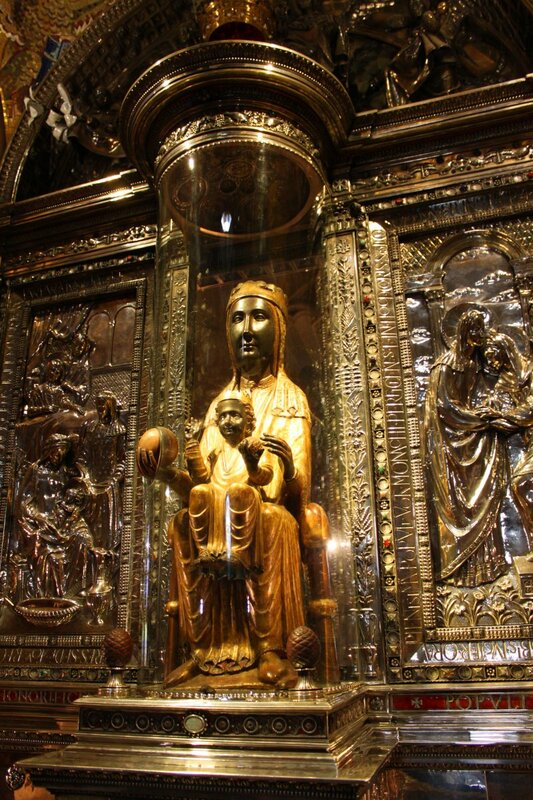 Our Lady’s Chapel, located in the Basilica, is usually open from 8:30 to 10:00 and from 12:00 to 18:3. 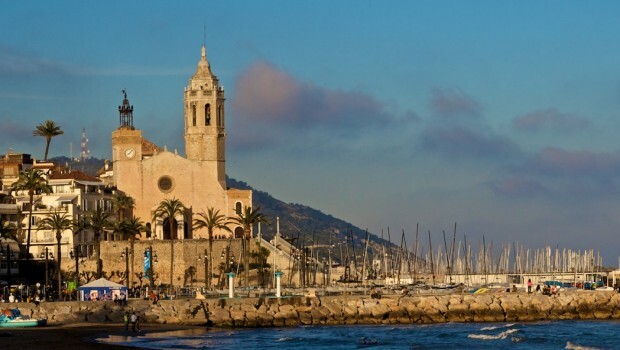 Sitges’ beautiful beaches and peaceful mountains proved irresistible to the Catalan wealthy and modernist artists and intellectuals at the turn of the 19th-20th century and it became a summer resort. Your guide will take you through the old town where the main sites are located. The Cau Ferrat Museum: (currently closed for restoration): > Santiago Rusiñol, bohemian painter and sculptor, became enchanted with Sitges in 1884, struck by its light, he moved his collections of art there, until then kept in Barcelona. He bought 2 fisherman’s houses in the Quiet Corner, unifying the façades in a neogothic style. The ground floor of the new house was the residence, decorated with plates and other ceramics. The upper floor was a magnificent hall in which a great variety of art was exhibited: Rusiñol’s collection of forged iron, 2 El Greco paintings, paintings by Rusiñol, Zuloaga, Casas, Clarasó etc. Casa Bacardí > Sitges, the home town of Facund Bacardí Massó, the founder of BACARDI, the world’s most drunk rum. In the historic Mercat Vell, a Catalan Art Nouveau building in the heart of Sitges Old Quarter, built by the architect Gaietà Buigas in 1890, next to the Town Hall. CASA BACARDI offers the visitor the chance to find out about the history of Sitges, the BACARDI family and the relationship of both with the Americas. We will enter into the world of Don Facundo and discover the revolution that he started in the rum making process, almost 150 years ago. The idea behind the visitor centre was to create a European version of the internationally famous BACARDI Museum in Puerto Rico. Casa Llopis / Museu Romàntic > Residencial house, built in 1793. The various rooms decorated with English furniture and rich curtains bear witness to the prosperity of Sitges in the 19C. In this dreamy atmosphere, you can see clockwork models, musical boxes as well as a collection of antique dolls. Fundació Stämpfli > A new exhibition centre with an art collection consisting of more than 70 works by 60 recognised contemporary artists from 21 different countries. The Museum, presents a significant body of art of the twentieth century, from the sixties to the present day.